For example, if given integer array is [20, 34, 21, 87, 92, 2147483647] then first maximum is 2147483647 and second maximum is 92. Bonus points are for those, who can also write JUnit test cases, more test scenarios, more points. Few more bonus points for those who can write code to deal with really large array, something which may not entirely fit on memory. Here is our sample Java program, It solves the problem following given problem statement and under constraints states. For example it doesn't use any sorting algorithm e.g. bubble sort or quicksort, or Collections.sort() method. As I said before, this kind of program is good exercise for mastering basic building blocks of any programming language e.g. loops, if-else block and learning relational operator like less than (<) and greater than (>). It take advantage of if-else control statement to solve this problem. All we do is we start with two variables as max1 and max2 and initialized them with Integer.MIN_VALUE, which is the limit of minimum value. Now we iterate through array and compare each number against these two number, if current number is greater than max1 then max1 = number and max2 = max1. Otherwise if it only greater than max2 then we only update max2 with current number. At the end of iteration, max1 and max2 points to top two numbers from given array. You see problem solved without any utility class or third-party library. * Java program to find top two maximum numbers from an integer array. From output, you can see that our method topTwo(int numbers) are working properly for different set of inputs. I have choose main method over JUnit test for testing my code, which is quick and dirty. JUnit testing provides you more option and better framework to write testcases. If you don't know how to write JUnit test case, see that link. It explains that in details. Your program will fail when highest number is in 2 place. 2. The second largest number is after the largest number. 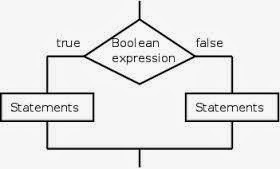 In this case, when the second largest number comes into the loop, it if block statements will not execute because the if condition will verify if the current number checked (second number) is larger than the current largest number. This will return false, so the top2 int will not change, even though is is supposed to. Have to use else if statement..
@Can, thanks for handling duplicates, good work.